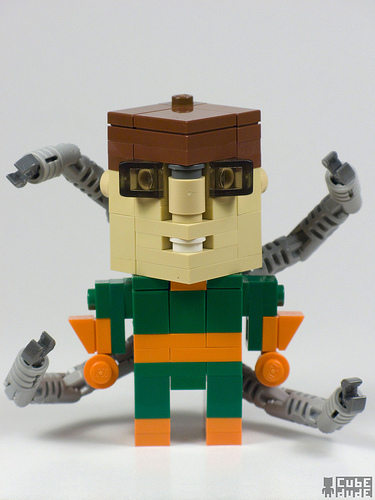 » Lego superheroes on Flickr – why didn’t they have these when I was a kid? Lego superheroes on Flickr – why didn’t they have these when I was a kid? I found this via SciFi Wire and they are too cool. However, I think that the box of random Legos that I have at home are at least 4 generations before the came up with non-square and non-rectangle Legos. Has Lego technology really changed that much since the 80s when I thought it was too cool that I got a set of Legos that became an airplane when I went through the 30 steps? Yes, yes they have. Now you can put together the Batmobile in 15 and have Doc Ock’s arms twist in all directions as he chases after Aunt May. True love!